The V60 is ia textbook example of unassuming Scandinavian style. Is this, finally, the wagon you’ve been waiting for? It’s been a rough decade for wagon enthusiasts. These few, proud drivers are a fiercely loyal bunch who have been largely left behind by the auto industry. Volvo, the stalwart maker of square Swedish sheds, was once a reliable source of station wagons. However, it languished under Ford ownership for a decade before being sold to Chinese auto maker Geely in 2010. Meanwhile, as Volvo faltered, other auto makers killed off their wagons altogether. The Ford Focus and beloved Subaru Legacy wagons both disappeared roughly 10 years ago. SUVs and crossovers took over. 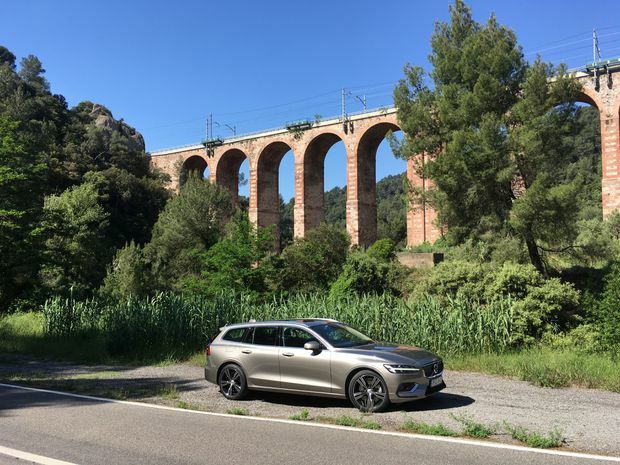 Only in the past few years has Volvo returned to fine wagon form, with the excellent but expensive V90 and now this, the all-new 2019 V60. Wagons have become luxury vehicles. Affordable mass-market options have disappeared, with the exception of the VW Golf SportWagen. The rest, from Audi, BMW and Mercedes, start in the high-$40,000 range. Pricing hasn’t been announced for the V60 yet, but expect it to be in the $40,000 ballpark, too. 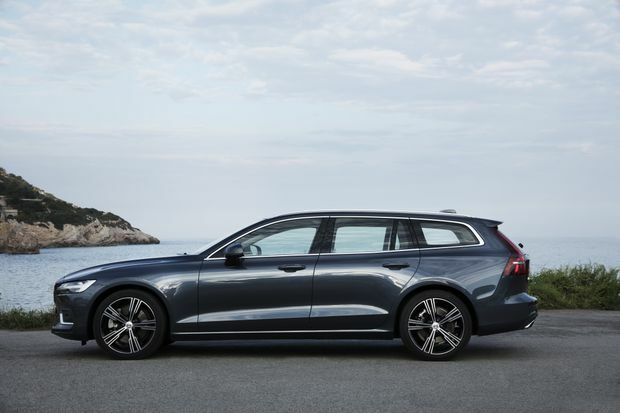 That fact alone will put it out of reach for many wagon loyalists, and it’s unclear whether there will ever be a more affordable V40 wagon in the lineup. The Svenssons, in case you haven’t met them, are like the American Jones family except they live in a generous welfare state, enjoy Bjork and reindeer jerky, and drive a station wagon. Pricing hasn’t been announced, but it’s expected to be in the $40,000 ballpark. Most of Volvo’s engineering team already has a V60 on order. What’s this new Svensson car like to drive then? Well, first the obvious: It’s seriously desirable, even before you’ve fired up the engine. As with the larger V90, it’s a textbook example of unassuming Scandinavian style. The driving experience is a mixed bag. As a highway cruiser, it’s serene. The myriad of class-leading safety systems are uninstructive, working like an invisible hand correcting your path if you get distracted. Putting pedal to metal, the T6 four-cylinder – a unique turbocharged and supercharged motor – delivers linear power that feels more like a big, naturally aspirated straight-six. There’s no turbo lag or lump of torque in the middle of the rev range, just a steady stream of acceleration courtesy of 316 horsepower and 295 lb-ft of torque. On a twisty road, there’s no doubt this wagon is better to drive than a similarly sized SUV. Still, you wouldn’t call it ‘sporty.’ You sit low so there’s little rolling motion as you slice through a bend. The all-wheel drive chassis stays admirably neutral, holding a steady trajectory powering out of corners. The steering is responsive, but lacks any real feel for the road. In city traffic, the T6 motor can sound a bit gruff. The gearbox is occasionally slow to downshift, and neither lightning quick nor buttery smooth when it does. It’s the same story if you flip the gear lever over to manual mode. Putting the car in Dynamic mode helps, adding some welcome eagerness to the throttle and gearbox. The only unknown here is exactly how much Volvo will charge for the V60. It should undercut its German rivals by a healthy margin because, unlike them, the entry-level V60 T5 will be front-wheel drive. To get all-wheel drive, you’ll have to step up to the more powerful T6 (which was the only version we were able to test-drive). For years, Volvo had a small lineup of aging models that weren’t quite up to scratch. Its loyal wagon fanbase didn’t have many credible options. But, it’s clear the Swedes didn’t forget how to make a great station wagon. Despite a few minor gripes, the new V60 is a remarkably well-rounded machine. The mix of great design and utility can’t be beat. As nice as its German rivals are, my money would go to the Volvo – assuming, of course, the price is right. On a twisty road, the V60 is better to drive than a similarly sized SUV. It’s another elegant, minimal Scandinavian design from Volvo. Other versions of the V60 are on the way too. A Cross Country model with extra ground clearance is a sure thing. A T8 plug-in hybrid with nearly 400 hp is slated for Canada a company spokesperson said, and a sporty Polestar model is likely in the works. Wagon loyalists rejoice! 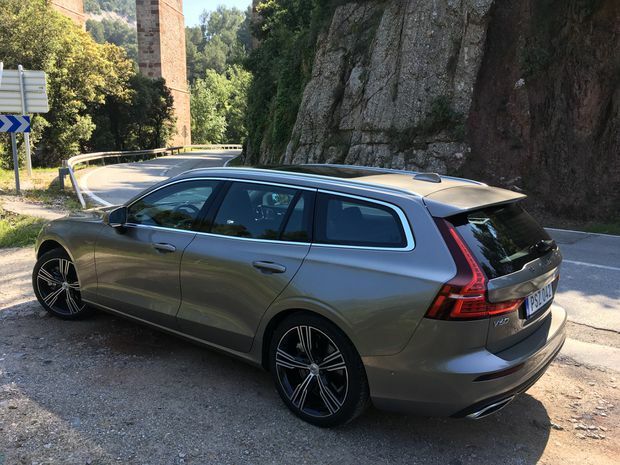 The new car is larger and lower than the outgoing V60, with a much larger glasshouse. Volvo sees this as a replacement for the old V60, and for the much-loved V70. The cabin design is copied from the V90, so there’s nothing to complain about there. The new cloth city-weave trim is highly recommended. The roads around Barcelona were smooth, quite unlike our crater-riddled streets. On 19-inch wheels, the ride may be slightly brittle – 18s are probably a smarter choice – but we’ll reserve judgment until we drive the V60 on home turf. The XC40 had a laggy, sluggish infotainment system, but Volvo is fitting all vehicles with a faster processor. It did the trick. Touchscreen response is much smoother, but it’s still not the most intuitive infotainment system. Automatic emergency braking is standard. The trunk is cavernous, as you’d expect from a true station wagon. The low roof makes loading bikes or cargo boxes on top easier than on an SUV. Official specs quote cargo volume at 529 litres for the V60, which is more than the XC60 SUV. With the seats down, the wagon can tote a dump-truck-like 1,441-litres of stuff. Our new favourite compact station wagon.